“Vintage reborn” is the theme of Cafe Racer, a 13-episode television series that explores the craft and lifestyle of a motorcycle subculture. In the popular TV series, 11 motorcycle builders spread between Manhattan and Los Angeles salvage, cut grind and weld their own cafe customs while keeping in mind the movement’s post-war British roots. 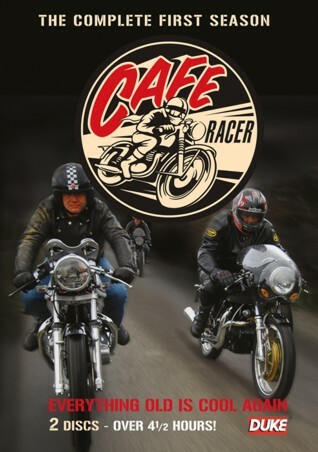 With Billy Joel and Jason Lee guest starring and motorcycle icons Ben and Eric Bostrom as test riders of these two-weeled classics, season one of Cafe Racers pulls the forgotten machines of this lost culture out of barns and junkyards on to the roads of the 21st century.